Whatever you need, if it’s plastic, it’s Omega! At Omega Services Ltd we specialise in custom plastic fabrication and plastic CNC machining, offering a full range of plastic products. Our fabrication is based on decades of experience and an up-to-date technology, providing an efficient and reliable service in bespoke plastic engineering. Our philosophy is to provide customers with high quality products at the best possible prices. Our customer base encompasses a wide range of industries supplying a full range of semi-finished industrial plastics from acetal & nylon to polycarbonate and acrylic sheet. Besides our full plastic CNC machining service, we provide a complete custom plastic fabrication service to your specific requirements. Our comprehensive Point-of-Sale product range includes leaflet dispensers to product information boards. An example of the high quality we can acheive on our Perspex boxes. 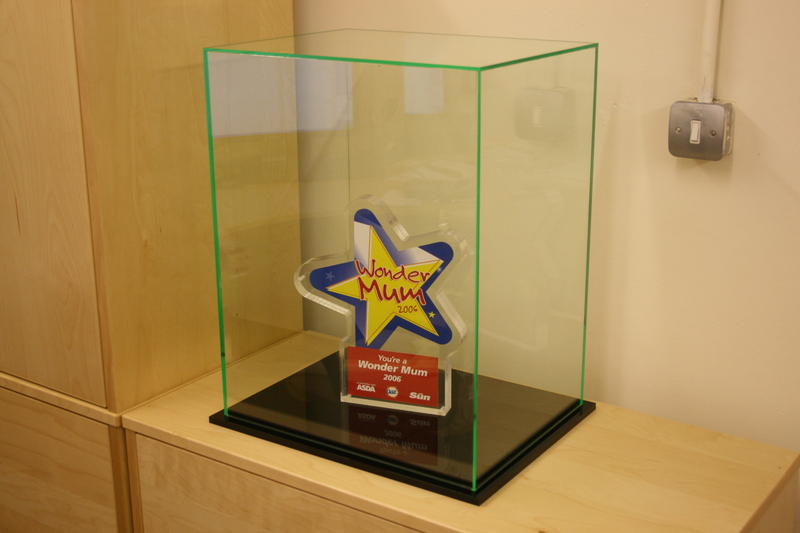 In addition to our fabrication and design services, our popular Display It range of trophy cabinets and medal cases are customisable with your name and sport to highlight your achievement and our comprehensive Point-of-Sale product range includes everything from leaflet dispensers to product information boards. We also offer our vinyl record storage boxes, made from Perspex. We are happy to offer free help and advice on any of these areas.